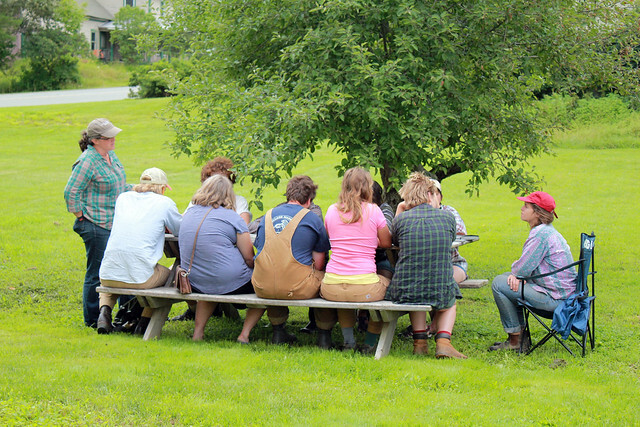 This summer, Sterling College students assisted our gleaning program by harvesting fresh, excess produce from Pete’s Greens in Craftsbury, VT. They gathered 450 lbs of chard for food shelves and meal sites in the area, as well as interviewed our Gleaning & Community Outreach Coordinator for the Northeast Kingdom, Andrea Solazzo. Sterling College & The Vermont Foodbank Glean at Pete’s Greens from Sterling College in Vermont on Vimeo. Take a moment to read the blog post, Reaching Down & Lifting Up: Sterling College & the Vermont Foodbank.